Unitemps offers students and recent graduates the chance to gain paid employment both at City and externally. Unitemps is City, University of London’s onsite temporary Recruitment Agency. We offer roles at all levels, helping students, graduates and external candidates find temporary, permanent and paid internship roles both onsite at the University and externally with businesses in and around central London. Go to www.unitemps.com and select 'City' as the branch you would like to search for job. Our Unitemps team will contact you if you have been selected for an interview. You can track the progress of your application in your Unitemps account. Your National Insurance number (Please check the government website for more information if you do not have a NI number. Documents to prove your eligibility to work in the UK (A full list can be found on our website here). Tier 4 Students- If you are a Tier 4 student then you will also need to bring along proof of your term dates. Please speak to your Course Office and request a Right to work/ Proof of term dates letter. 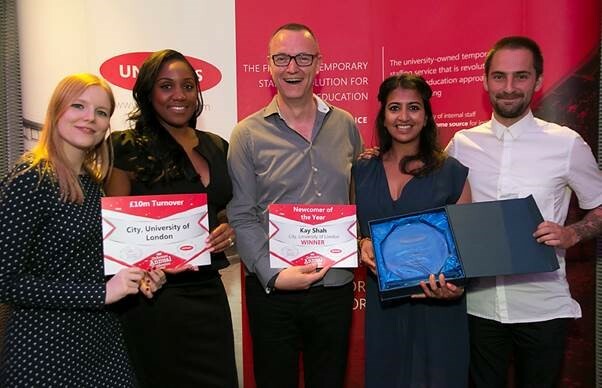 We would like to say a massive thank you to all those who attended our second Unitemps of the Year Awards at City on Thursday 12th April 2018. We celebrated and rewarded the hard work, dedication and outstanding contributions that temps and hiring managers have made over the past year. 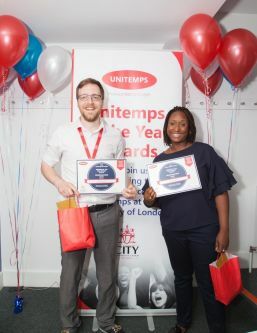 Unitemps (City) are proud of all the individuals that we have placed in roles and of all the managers who go the extra mile to develop their temps. We would like to congratulate all nominees and winners this year! Thank you so much for giving me the award of Unitemp of the Year 2018. I am so grateful. I would like to thank Unitemps as my employer and giving me the opportunity to work with them. Not only were Unitemps my employer but also my sponsors; helping me to fund my studies. I would like to thank everyone that I have ever worked with and everyone I have worked for, as you have all given me great memories and helped me to build my character. For everyone who has worked through Unitemps, this just goes to show how much hard work is still relevant. Always just give your best and push forward. No matter what you are going through there will always be a light at the end of the tunnel. Keep pushing and your hard work will pave way for you! We look forward to next year’s celebration! Unitemps (City branch) attended the Unitemps Annual 2 day conference on Thursday 13th July at the Scarman Conference Centre at the University of Warwick. Attending the conference was a great opportunity to: reflect on the latest developments across the network, attend various training sessions and celebrate Unitemps achievements over the past 20 years. Engagement team. 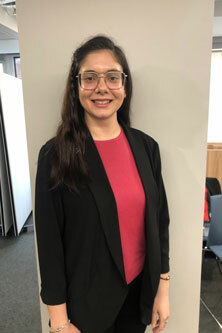 Selin coordinates The Micro-Placements Programme, an initiative that provides students an opportunity to take on short-term, exciting projects at an employer’s office in the summer. Why did you start temping through Unitemps at City? As a former City student, I was looking a part- time/flexible work to fit around my studies and provide extra income to support me during my time as a student. I approached Unitemps due to the convenience of them being on campus, but also because I learned that they were a service that I felt had the student’s best interests at heart. 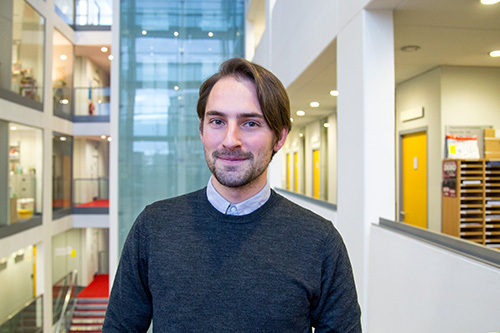 The first role I applied for was a Marketing Student Ambassador role that fit the specification of the role I was looking for and I carried out this job for the duration of my Undergraduate degree. Moving forward, the simplicity of Unitemps Recruitment platform and the City student specific jobs role encouraged me to apply for further roles thereafter. What kinds of roles have you taken on in your temping career through Unitemps at City? 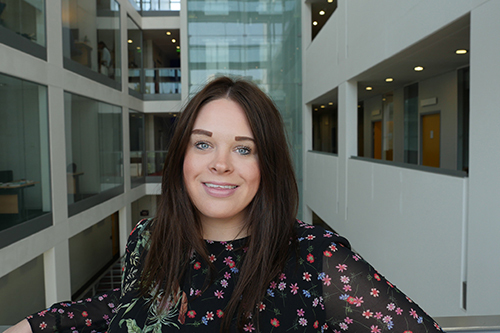 As mentioned before, my first role as a student was the Marketing Student Ambassador role and the convenience of it being on campus in a familiar environment allowed me to balance my education and work priorities well. Therefore other roles have also been City related such as providing support at the University Open days and Taster days and carrying out campus visits etc. 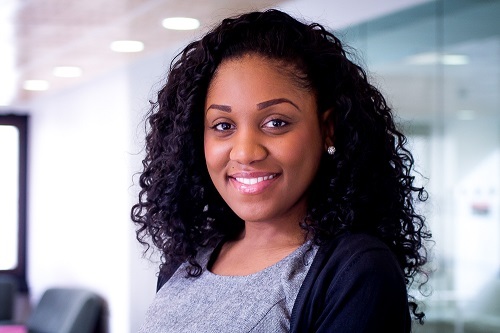 After graduating, I approached Unitemps to build up my work experience and took on a temporary Marketing and Events role in City’s Careers Service and a project coordination role working on a Placements Programme also in City’s Careers Service. How did the flexibility of temping help you? The flexibility element was one of the main reasons why I approached Unitemps. As my University workload was intense, I did not want to commit to a job that was fixed and could not work around my studies. 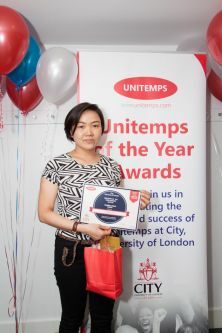 Therefore, the fact that many of the roles I took on through Unitemps were temporary and allowed me to choose the hours I would work enabled me to balance my studies with gaining valuable work experience and an income concurrently. 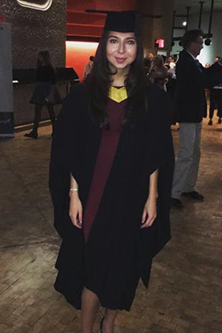 In addition after graduating, the flexibility of the jobs offered allowed me to again build up my work experience and gain an insight in to different career paths I could take. What skills has your role(s) through Unitemps given you? I have developed a number of practical skills that have been invaluable for me. The most important ones I would say is project management, administration, verbal and written communication, time management and organisational skills, but the list is endless! If you could give temps one piece of advice, what would it be? Take full advantage of the Unitemps Service, particularly if you are a City student. There are a number of opportunities Unitemps source that are exclusive to City students which is very beneficial given the competitiveness of the job market. Build your experience and network as you never know where this role may take you. An internship that was meant to last for three weeks ended up becoming a fixed term role that I applied for! Without Unitemps, I may never have had the experience to apply for my current role. What are you doing now? I am now a Micro-Placements Programme Coordinator in the City Careers service. The programme is an initiative that provides students an opportunity to take on short-term, exciting projects at an employer’s office in the summer. I was in my second year of undergraduate degree and I desperately wanted to find a job. I tried applying in shops, stores, real estate agencies but nothing worked! One hot summer day, I was on campus and I decided to stop by Careers. There I met Kate and long story short, she gave me my first job. I started working for Unitemps in 2012. I was involved in so many different activities that someone asked me if I had a twin sister! I was everywhere! 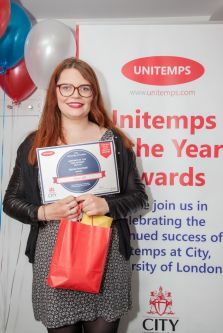 Unitemps allowed me to study while earning money and allowed me to be on campus while gaining valuable employability skills that guaranteed my first full time job. 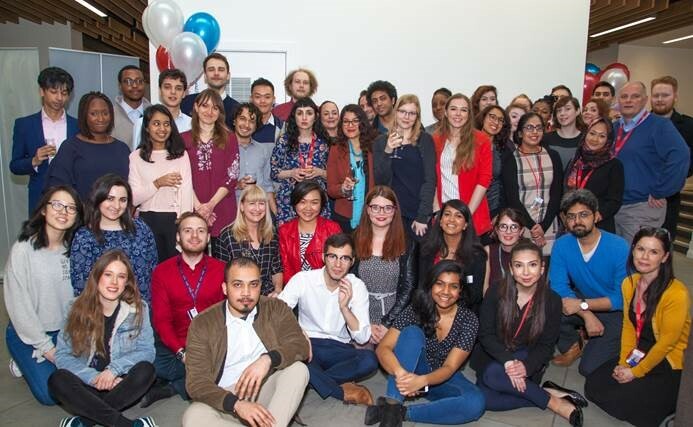 From helping out in graduation ceremonies to giving campus tours to prospective students and their parents, from calling up graduates to covering the reception desk, to greeting highly esteemed guests in the Vice-Chancellor dinner, Unitemps gave me the opportunity to learn how departments like Marketing, Careers and the Student Centre worked. But most importantly, it gave me a work family and helped me create a diverse career in higher education. I can share many positive stories about my time with Unitemps, but as we are running out of time, I want to leave you with one thought. As students we have a very specific idea of what we want to do and where we want to go career-wise. Some of you will follow exactly the path you have in mind, some of you won’t. But whatever you end up doing, Unitemps you will give you transferable skills that you can use at any time. Grab the opportunity today! You never know when you will need these skills! Book an appointment to have your CV or application checked by a careers advisor before you apply for a Unitemps role. Read our advice on employee rights, income tax and national insurance when working in the UK.